Rusty Nail Trail information. Download maps and plan your dirt bike ride. 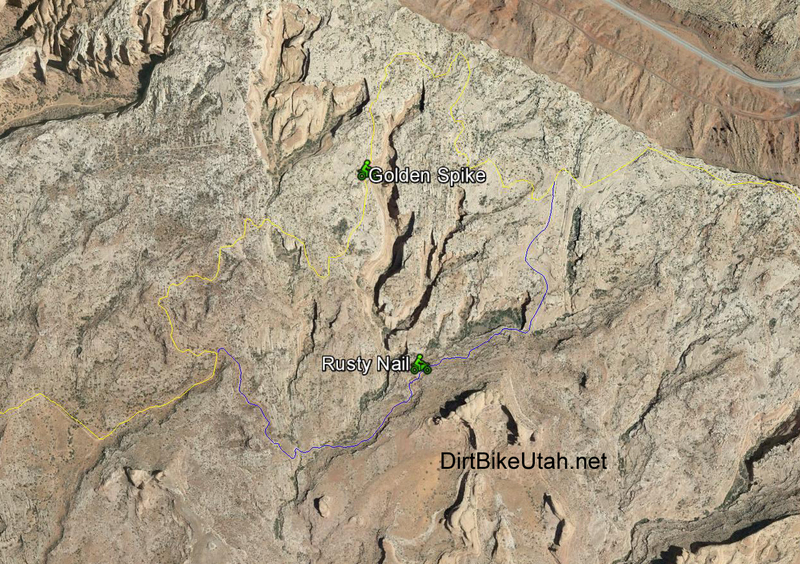 Rusty Nail is an alternate route on the Golden Spike trail. The trail runs right along the cliffs of Gold Bar Rim. The ledges are steep and don't leave much room for error. 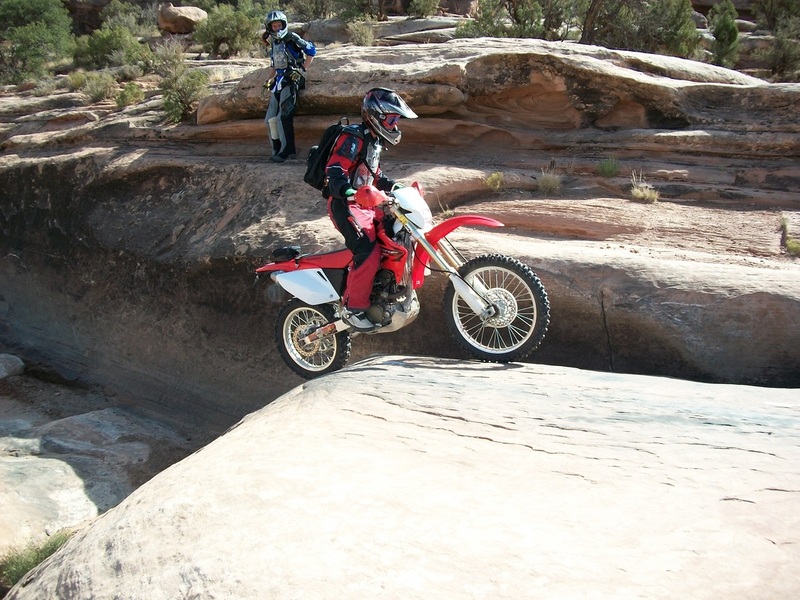 This trail is a challenge for a dirt bike any direction you ride it. Plus the views are amazing. It's fun trail if you decide to ride from the Gemini Bridges parking to Poison Spider.